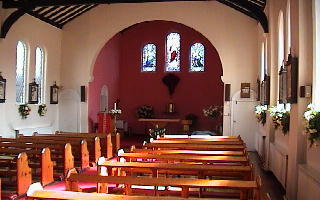 At Sacred Heart Parish Ystradgynlais October is the time we have a Multicultural Mass in honour of Our Lady.Readings and Prayers are said in Tagalog, Malayalam,Gaelic, Italian, German, Welsh, English and many other languages. 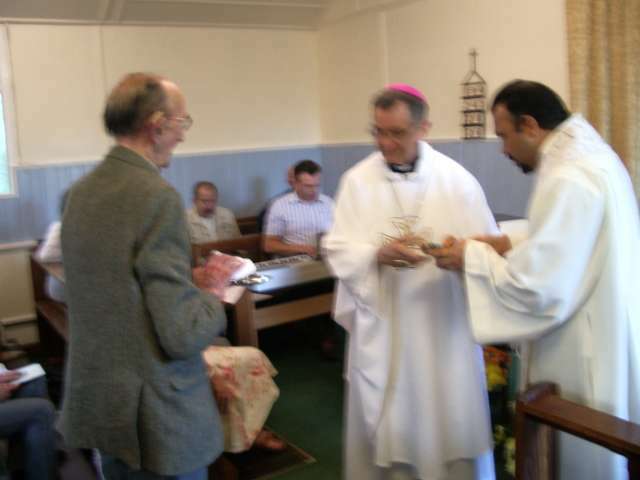 After Mass we always share a multi –cultural Feast in our Parish room. This event has taken place for many years and has made us a very close Parish Community. 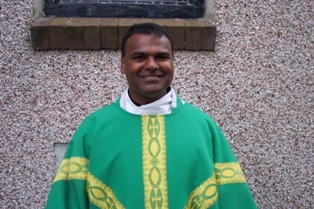 Fr Selva has been moved on by the Bishop of Menevia and therefore the Parish of Ystradgynlais has been left without a resident Priest. Here at the Sacred Heart a campaign to reverse this decision has been unsuccessful. We are very grateful for the help and commitment of Fr Teyrnon Williams who has stepped in to the role with great enthusiasm and over the coming weeks and months he will be reviewing the position and making adjustments and changes as necessary. 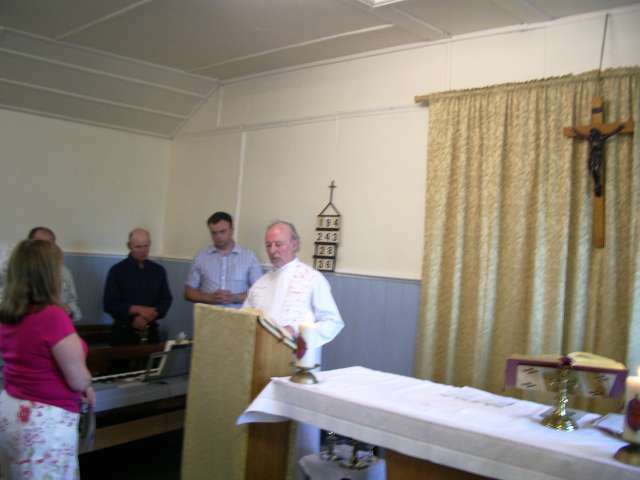 Our former parish priest Fr Richard sadly passed away after illness on Saturday 28th July 2008. 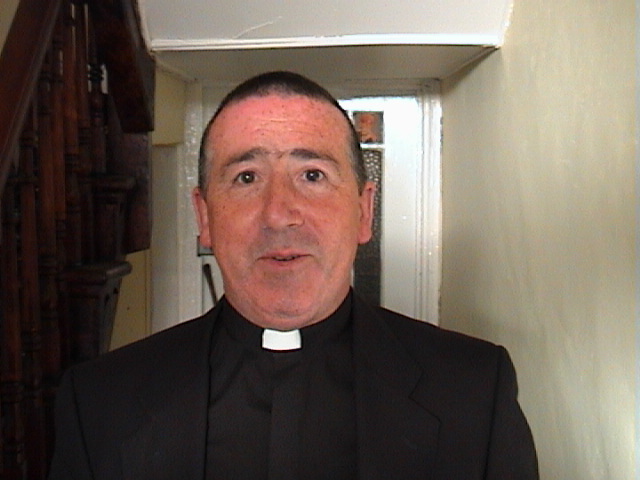 Fr Richard will be long remembered by all members of our parish and our thoughts and prayers are with him, his family, and all of his friends across the world. 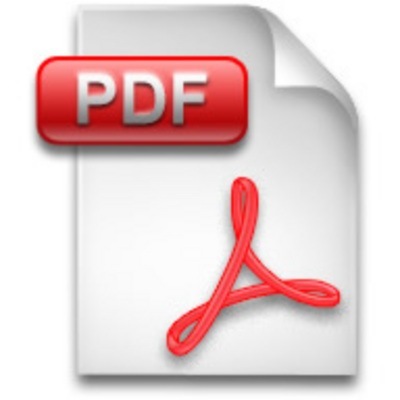 A website has been set up that provides more detail. 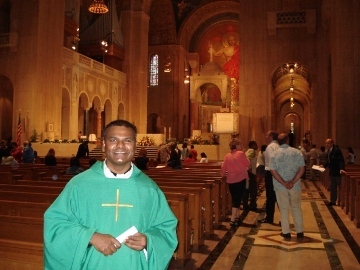 May Fr Richard Rest in Peace and Rise In Glory ! Frank was born in Poland in a town called Orjeck (orzech) on 13th September 1923. As a 16 year old boy he left home when he was forced to join the German Army during the 2nd World War. Being Frank, he was invincible, and escaped from the German Army and joined the 2nd Polish Army Corps. 1943 found him in an armoured division in Italy where he spent the rest of the war. 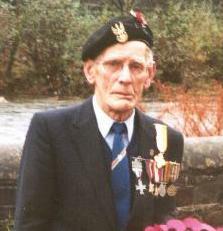 As the Polish Army was under British Command Frank was demobbed to an army camp in North Yorkshire in 1948. He worked there, underground, in a colliery for a short time before joining Wimpey who sent him to Aden in the Middle East. In 1954, Wimpey sent Frank to work in Glynneath and he came to live in Ystradgynlais, lodging with Margaret and Euddwen's family. He was supposed to stay for 2 weeks but this went on to be 7 years. He had met Gaynor and instead of moving on to Scotland he stayed in Wales. Gaynor and Frank married in 1963. In 1996 Frank received the "Bene Merente" for his dedicated, selfless and loving service to our Church which he loved so much. 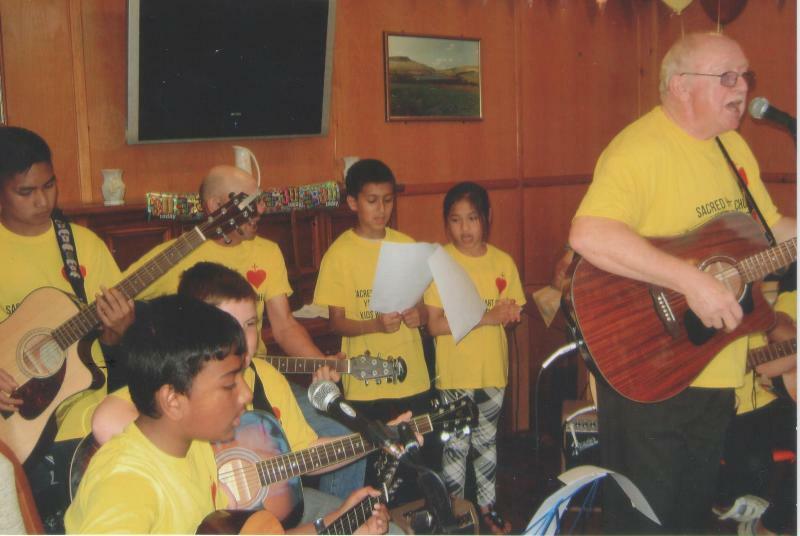 Our dear and beloved friend Frank passed away on Sunday 5th August. Our thoughts and prayers are with his wife Gaynor and all of his family at this time. May Frank Rest in Peace and Rise in Glory! 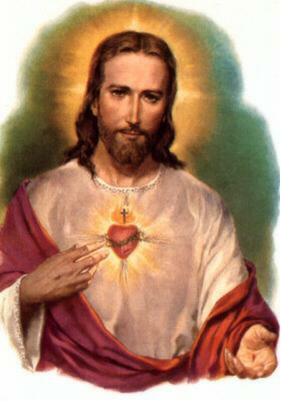 Devotion to the Sacred Heart began about the year 1672. On repeated occasions, Jesus appeared to Saint Margaret Mary Alacoque, a Visitation nun, in France, and during these apparitions He explained to her the devotion to His Sacred Heart as He wanted people to practice it. He asked to be honored in the symbol of His Heart of flesh; he asked for acts of reparation, for frequent Communion, Communion on the First Friday of the month, and the keeping of the Holy Hour. When the Catholic Church approved the devotion to the Sacred Heart of Jesus, she did not base her action only on the visions of Saint Margaret Mary. The Church approved the devotion on its own merits. There is only one Person in Jesus, and that Person was at the same time God and Man. His Heart, too, is Divine-it is the Heart of God. There are two things that must always be found together in the devotion to the Sacred Heart: Christ's Heart of flesh and Christ's love for us. True devotion to the Sacred Heart means devotion to the Divine Heart of Christ insofar as His Heart represents and recalls His love for us. In honoring the Heart of Christ, our homage lingers on the Person of Jesus in the fullness of His love. This love of Christ for us was the moving force of all he did and suffered for us-in Nazareth, on the Cross, in giving Himself in the Blessed Sacrament, in His teaching and healing, in His praying and working. Devotion to the Sacred Heart helps us see his presence in our hearts, in our homes and in the Eucharist. The Devotion is our inspiration to love our families, to be compassionate and forgiving toward others, and to reach out to those who are in need. As we all know the month of June is dedicated to the Sacred Heart and as preparation for our celebration of the parish feast, since our church is dedicated to the Sacred Heart, may I invite every one of you to attend these nine days of Novena and draw graces and abundant blessings from the Sacred Heart. it was always a difficult decision to close a church but that we must be thankful for what has been achieved and the need to pray for vocations and to trust in Almighty God’s goodness, and He will not let us down. 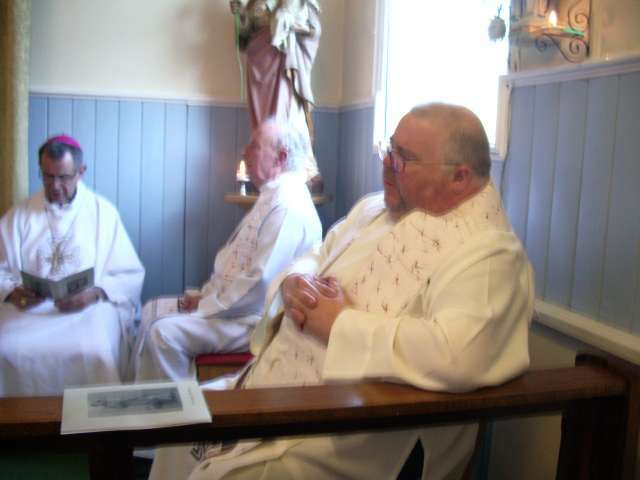 After the Mass, the priests and congregation went to Brynamman Rugby Club where a buffet had been prepared. We now look forward to welcoming the parishioners of St. Joseph’s into the Sacred Heart, where they will be made most welcome. Thank you to all who have contributed their share for the success of the closing Thanksgiving Mass at Brynamman. 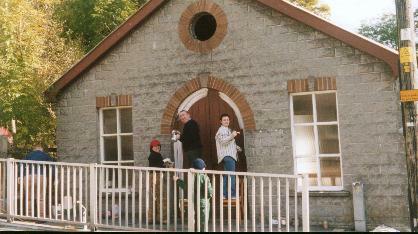 Click on the links above to find out about the church's past, present and future. Don't forget to sign our guestbook and/or drop us an email. We look forward to hearing from you.